Whether it's Big Brother or your local KwickieMart, people collect information about you all day, every day. While it is almost universal that people make YouTube videos for attention, one has to be careful on social media because it may draw way more attention than you think. For Brooke Amelia Peterson, that was the case after she made a YouTube video of the new iPhone X model her engineer father, an Apple employee, in a moment of failed secrecy. He was fired, and she was sorry, and that should be the end of it, except it offers us a chance to remind ourselves to examine security leaks and lack of privacy in a world where almost everything is public. Social media and technology can and does expose things that should be kept confidential. We already know that Facebook is sharing user data with the government. That’s a given and not unexpected. But, on the more personal level, every Smart electronic you own tracks and records your movements. As a result, criminals are now being caught when devices such as Smart locks, their cell phones, and security systems provide conflicting information from their alibi. But, wait, you’re saying. If I don’t commit a crime, I have nothing to worry about, right? It's time to think about who has access, or if there is a potential for access to your inofmration. Maybe. The problem is that as technology advances, criminals also advance. And if someone wants to perpetrate a crime on you or your home, what better way to do it than by tracking you with pinpoint accuracy, available for the taking by anyone bright enough to hack into your devices? Even when you’re a victim of crime, your behavior patterns can be used against you. Take, for example, rewards card shopping. In order to save a nickel on a bar of soap, everyone signed up for a rewards card. However, if you slip and fall in the store and seek recompense, who is to say the store won’t pull up your shopping history to compile your alcohol-buying patterns and question your sobriety at the time of the incident? The choices companies make with your private information may not work to your benefit. 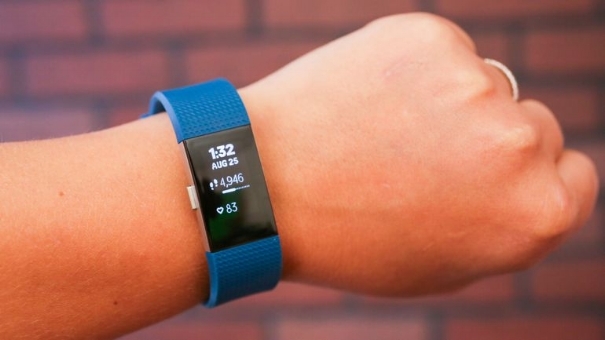 The Fitbit has also been used to track movement and activity, much to the dismay of Richard Dabate of Ellington, Connecticut, who said an unknown gunman killed his wife, but whose Fitbit showed her movements didn’t coincide with his version of the story. The Fitbit has been used by millions of people to track and monitor their health and increase their quality of life. The premise is that if you know what is happening with your health, you can stay on top of issues before they become problems. In fact, UnitedHealthcare offers up to $1500 for participants who elect to wear the Fitbit and share the data with them. While that sounds magnanimous and helpful for those who lead a healthy lifestyle, the downside of this is that insurers, should Obamacare be repealed, can use the data to refuse services, raise premiums, or deny coverage. Finding the solution to this lack of privacy isn’t going to be easy since there are almost eight and a half billion devices connected to the internet. Some of them may be yours. You probably have location services or a health app or the wi-fi setting at ‘Ask to join networks.’ As much as we love our devices, we have to be aware that they can compromise our privacy in ways which have nothing to do with our obvious choices. As many times as we choose convenience, we need to be cognizant of the fact that in doing so, we’re giving up our privacy.